Playground rubber tiles are ecological products manufactured from recycled rubber granules of out of use tires. The rubber granules are carefully selected, they are manufactured with high quality polyurethane adhesives and pigments, the product is free of harmful compounds. Playground rubber tiles are Eco-friendly products manufactured from recycled rubber granules of out of use tires. The rubber granules are carefully selected, they are manufactured with high quality polyurethane adhesives and pigments, the product is free of harmful compounds. }Playground rubber tiles are Eco-friendly products manufactured from recycled rubber granules of out of use tires. The rubber granules are carefully selected, they are manufactured with high quality polyurethane adhesives and pigments, the product is free of harmful compounds. 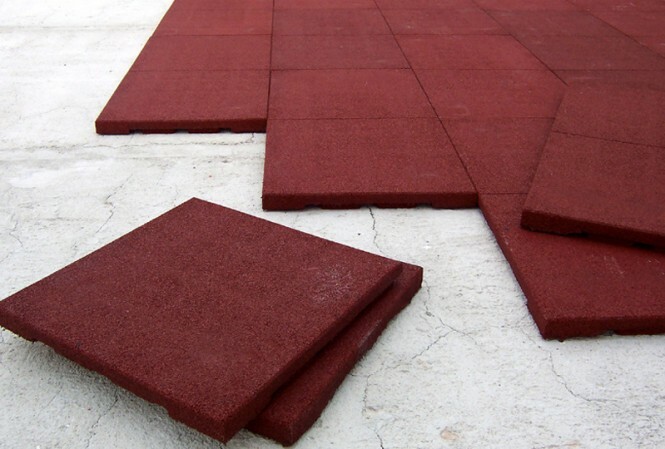 Playground rubber tiles are ecological products manufactured from recycled rubber granules of out of use vehicles tires. The rubber granules are carefully selected, they are manufactured with high quality polyurethane resins, the product is completely free of dangerous compounds or pollutants.